No, we cannot take it but can give you the name and number of a Wildlife Rehabilitator who can. They may not answer the phone when you call, but if you leave them a message, they will call you back! Why Can't We Take In the Injured Animal You Ask? We do not have the training to care for injured animals. Becoming a wildlife rehabilitator takes years of training and a license through the New York Department of Environmental Conservation. 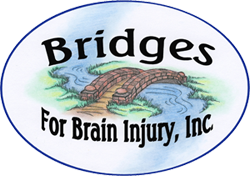 Bridges and the Wildlife Rockstars provides a permanent home for over 60 animals. Many of our animals were placed with us through wildlife rehabilitators or the Department of Environmental Conservation (DEC) after they were assessed as “non-releasable.” Phyllis Quiller, the native porcupine, for example, was rescued as a baby when her mother was illegally shot from a tree leaving her without the ability to care for herself. The DEC placed her with our program to raise her as an education animal. Ideally, wildlife rehabilitators can bring the animals back to full health (including a healthy, natural fear of humans and cars) and release them into the wild. If the animals are non-releasable, that is where Bridges and the Wildlife Rockstars come in. We are the final, safe, caring and enriched home for non-releasable wild animals. We are a USDA licensed and insured program.